If there is space we will reserving you your places. If there is no space on your requested date we will offer you alternative dates. We will email with all the info on what you need to do to confirm. We will hold your reservation for a period of time to give you time to collect the £30 deposit. All equipment i.e. 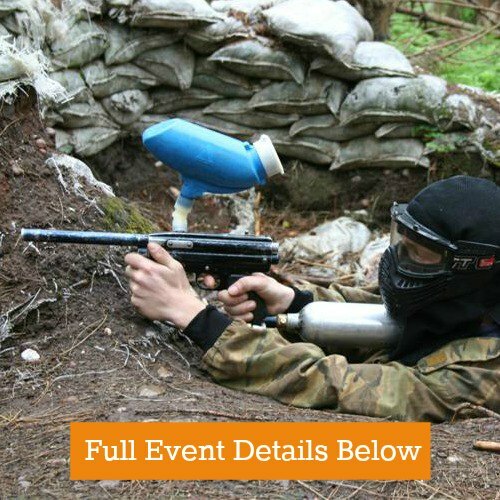 goggles, Suits, balaclava, gun, hopper pack etc. 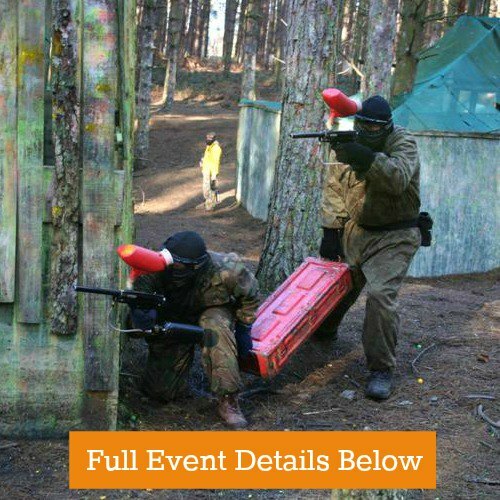 1100 Paintballs for just £50 so great value and ideal for a full day for players that want to go for it. This is the full Monty package, normally booked by regular players that know they will shoot more than the average player. But is also booked by groups that want to go full force into the heat of the battle. 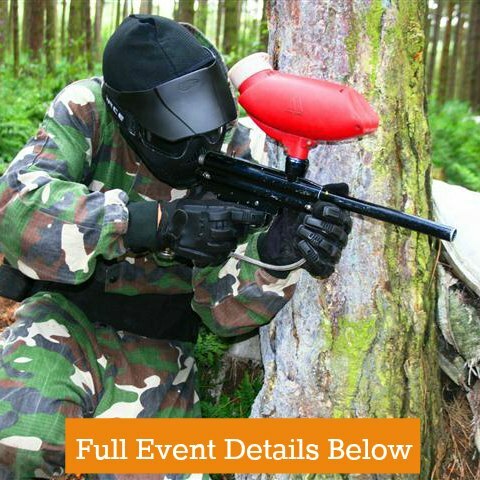 All Paintball protective clothing required i.e Paintball Goggles, balaclava and camouflage coveralls. 5 games in a half day and up to 10 Games in a full day**. 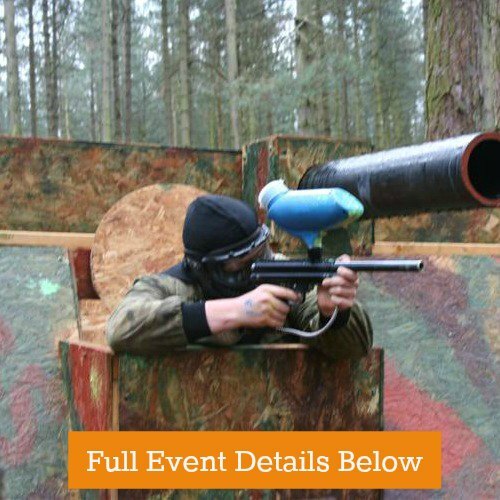 ** The package includes up to 10 games. Those choosing half day options will not have time for 10 games and we also like to make clear that although we always try to put on 10 games for full day packages, this is not always possible. Making a provisional booking with The Jungle is a great way to reserve enough places for members of your group and to give you time to collect the monies required to confirm the provisional reservation. 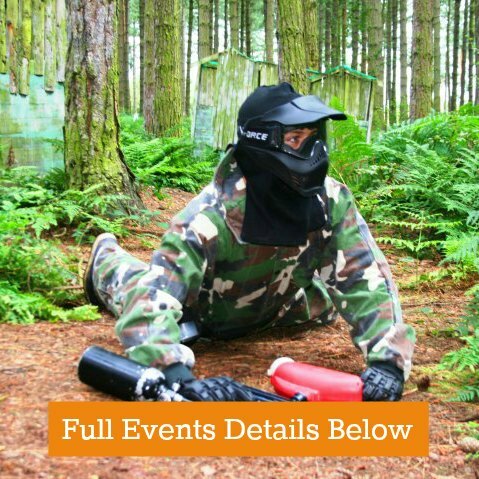 On receipt of your provisional booking request we will secure you the relevant number of places and then email you with more information on the event and when the deposit will become due payment which is normally 14 days from the date you made the reservation unless it for an event in the next 2 weeks in which case the deposits may be required sooner. You can then collect the monies from each guest safe in the knowledge that you have enough spaces held for all those that said they wanted to come but you also know that if come the payment date only 90% of the group have paid you, you will not be expected to pay for the 10% that have not paid you so you are not running the risk of being out of pocket. .
Once you have collected either the deposit or full amount you have the option to either call us and pay in debit or credit card (please note credit cards do attract a surcharge) or you can pay by Bank Transfer or PayPal with all the info you need being contained in the provisional confirmation we will have sent you.